In 2012, Channel 4 ran a poll asking the British public what made them proud of their nationality. Up there at number 2 was the National Health Service, higher than the royal family or even our sports teams. For almost 70 years, the NHS has been the centre our welfare system, a shining example of equality and compassion at the heart of the British state. In comparison, consider America, where around 13% of the population are uninsured, and lack access to basic healthcare. When Obama passed Obamacare in 2010, most Brits looked on with incredulity as he was labelled a communist and a fascist for the introduction of measures like minimum standards for insurance companies, so they couldn’t drop policy-holders when they became sick, or refuse insurance coverage to those who were already ill and in need of care, measures which seem so obviously fair to anyone with even half a fingernail of compassion. And yet, our own healthcare service is currently facing an insidious threat from the government, who with their proposed changes for junior doctors are not only putting a greater strain on the National Health Service, but are sucking the soul out of our greatest British institution. 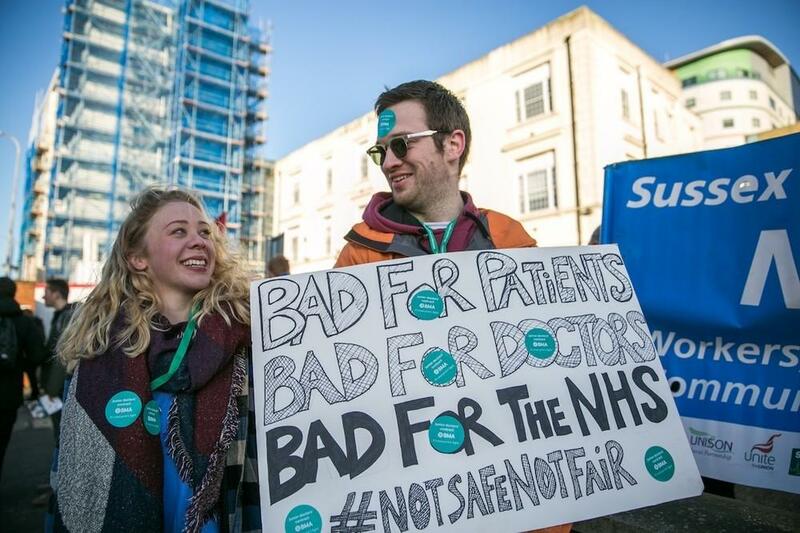 This week saw the junior doctors go on a two-day all-out strike for the first time in NHS history, refusing even emergency care. The ongoing dispute between the British Medical Association and the Health Minister Jeremy Hunt centres on his proposed new contract for junior doctors, the key gripe being that Saturdays will go from being defined as ‘unsocial’ to ‘social hours’, and pay will remain at the basic rate. Already, NHS doctors are working long hours, and most are happy to work even longer, out of genuine concern for their patients and loyalty to the NHS. But the good will of junior doctors is not enough to hold the health service together. This new contract suggests the government has a fundamental disrespect for their work, as junior doctors already make up the bulk of staff during weekends, and are now expected to do so for less compensation. For many young doctors, the new contract will force them to make sacrifices they cannot afford, and we will lose great talent to higher paid jobs overseas. Junior doctors are the backbone of our NHS. So many feel loyalty to the service, and remain committed to providing care, especially to the most needy. But this protracted dispute, in which it has taken extreme strike action to even bring the government to the negotiating table, seems to suggest that the government has little interest in preserving the health service, or listening to the concerns of its employees. Our sense that the NHS is indestructible has desensitised us to the debate. Waiting and referral times are a constant bone of contention, but we can’t expect this to change without further investment. 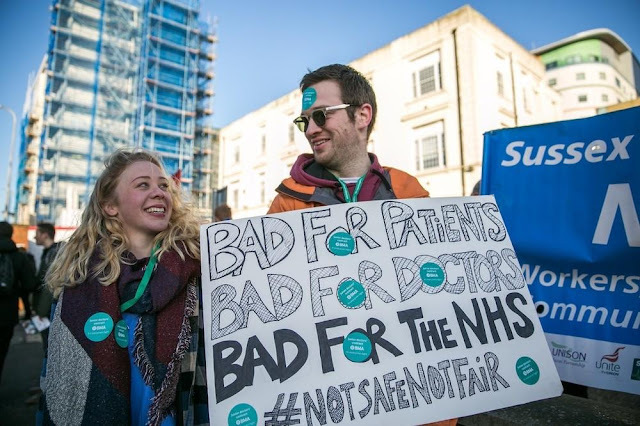 As the strike continues, public support for the junior doctors will fall, and Jeremy Hunt will be free to usher in a contract that erodes a service that provides life saving care for all. It will get stretched too thin, the best talent will abandon it out of necessity or frustration, and the doors to privatisation will be opened. Privatisation, the neoliberal dream, promises cheaper services, improved efficiency and reduced strain on the government. But it is also a system that breeds greed and encourages cutting corners - just look at Pharma bro Martin Shkreli, who raised the price of a vital HIV medicine for an example of the absence of humanity in business even when it comes to life-saving healthcare. The values of equality and compassion that the NHS is built on won’t exist in a private system, when it becomes about profit and competition. Architect of the NHS, Nye Bevan, wrote in 1952, “The essence of a satisfactory health service is that the rich and the poor are treated alike, that poverty is not a disability, and wealth is not advantaged”. Over 60 years later, this sentiment is more important than ever. Some things are worth preserving just because they are right. We must continue supporting the junior doctors, or we risk losing the greatest form of social justice our country has to offer.